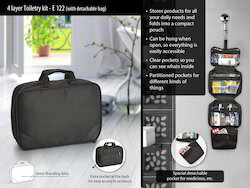 Pioneers in the industry, we offer folding leather travel bag, toiletry pouch, luxury trolley backpack, toiletry kit (4 layer) and technology bag with "c" type connector from India. 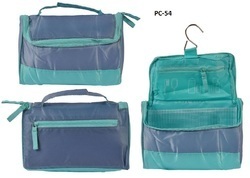 Keeps you organized: 2 pockets inside the main compartment and an emergency pocket outside..
Green and Blue Color Toiletry Pouch for Travelling and other purposes as per requirement. 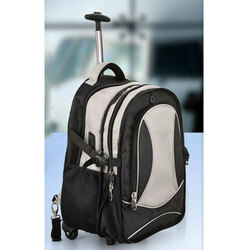 We are wholesaler,supplier,manufacture and distributers Luxury S Trolley Backpack. 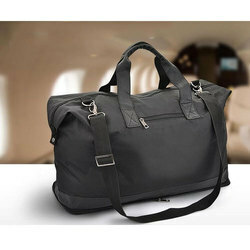 tremendous for on the road, and on the move.remaining in versatility! May be improved to nearly twice its size. Partitioned pockets for different kinds of things Special detachable pocket for medicines, etc. Technology bag with "C" type connector & easy scan bag. As per Your Requirement .